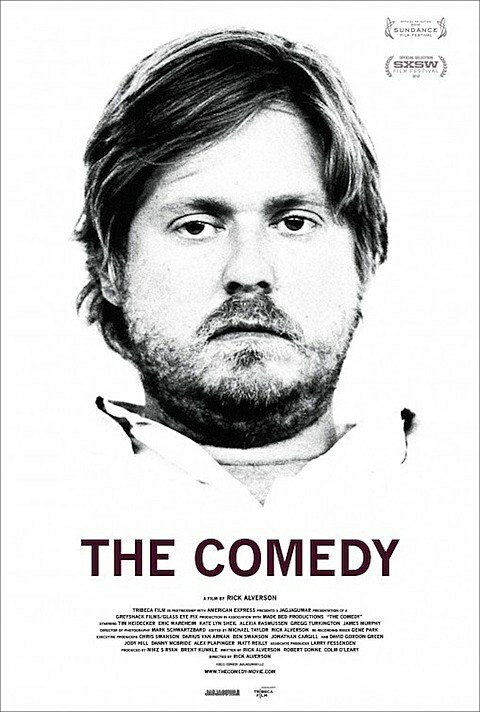 Rick Alverson‘s new film, The Comedy, which stars Tim Heidecker, Eric Wareheim, James Murphy, Gregg Turkington (aka Neil Hamburger), which we presented a screening of in NYC is opening in Austin theatres tonight (11/30) at Alamo Drafthouse South Lamar. Rick Alverson and Tim Heidecker will be there in person at the 10 PM screening. Tickets for that screening are available, but we’re also giving away a pair. Additionally, we’re giving a signed copy of the soundtrack on vinyl, which features Bill Fay, William Basinski, Gardens & Villa, Gayngs, and more. The soundtrack tracklist and contest details are below. For a chance at winning tickets to The Comedy screening at Alamo Drafthouse South Lamar tonight and a signed copy of the soundtrack on vinyl: send an email to BVCONTESTS@HOTMAIL.COM with the subject line “THE COMEDY.” Include your first and last name and mailing address in the email. We’ll pick a winner at random and contact them with more details. Your email will not be shared with anyone else. Good luck!